Artist, animator and animal lover Lili Chin has created Cat Language, an adorable illustrated guide to what felines are saying with body language. 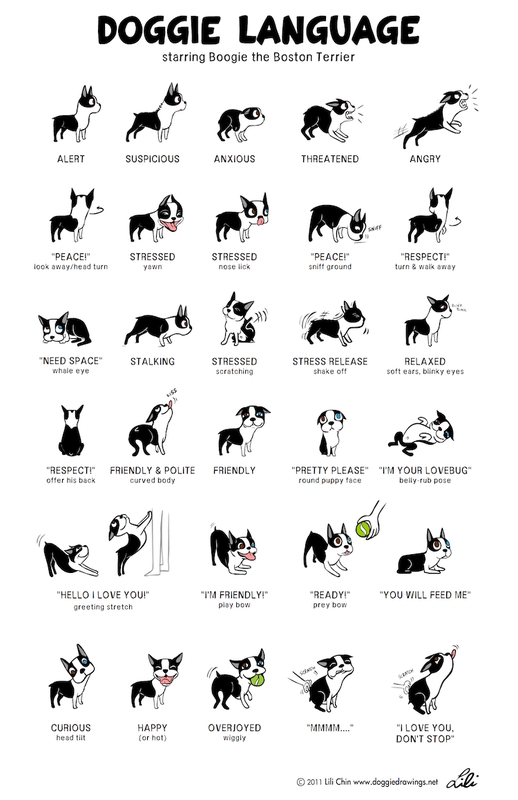 This is a companion to her 2011 piece “Doggie Language“, which featured her own dog, Boogie the Boston Terrier. Chin has generously made posters of these and other illustrations available for free download.